Save the day with these Power Rangers Black Ranger Sun-Staches! 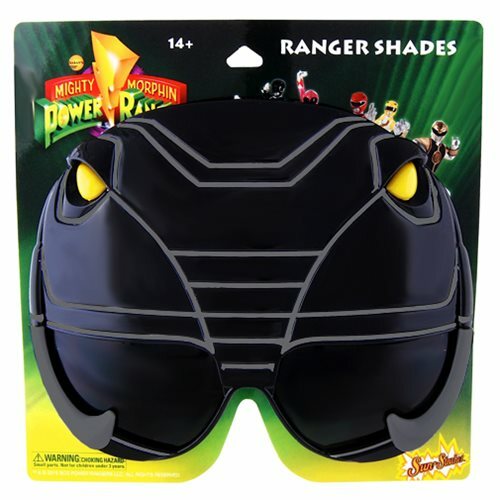 When Angel Grove is under attack, join the Mighty Morphin Power Rangers and save the city with these awesome shades! Transform into the Black Ranger with these Power Rangers Black Ranger Sun-Staches. One size fits most and all Sun-Staches provide 100% UV400 protection. Ages 14 and up.